It’s a sobering truth: The latest stats show that just 5.8 percent of four-year high school players earn a spot on a college team’s roster. With fewer than six out of every 100 high school volleyball players landing spots in the college ranks, it takes more than just wishful thinking to turn this dream into reality. But, if you truly want it, you can make it happen. Take Jessica Smith, for example. She is only 5 feet 2 and played club volleyball for two smaller clubs instead of a large, high-profile club. Yet Jessica played her freshman season for Harper College, one of the top community college programs in the country, and recently accepted a partial volleyball scholarship to play at Judson University in Elgin. As her father and her middle school coach and high school sand volleyball coach, I’ve admired Jessica’s volleyball journey from a sub-four-foot-tall fifth-grader at a small Christian school to a college scholarship winner. I think several lessons from her story can help many of your daughters if they show interest in playing after high school. The competition for spots on college rosters is intense, and that’s also true of high school varsity rosters, JV rosters, freshman A team rosters and even eighth-grade rosters. To stand out from the others, Jessica also had to go the extra mile to overcome her small stature. She was always the shortest player on her team. Work ethic ended up being one of Jessica’s defining characteristics. She developed great work habits and became known for her commitment, consistent effort and intensity. This work ethic made a stark impression on each of her school and club coaches, not only in practices and matches but from seeing the impact of her extra dedication spent playing sand volleyball for five summers. And it enabled her to learn a range of key skills and grow and sharpen her skills and understanding of the game to an all-conference level by her senior year, when she was the starting varsity libero. Jessica’s diminutive size was an obstacle for her. She had to work harder than most of her teammates over the years to compensate for this disadvantage. But her persistence, perseverance and passionate practice allowed her to overcome this hurdle and join the prestigious college volleyball world. One of the main characteristics that college coaches — and coaches at the club, high school and middle school levels — look for is a teachable attitude. Volleyball is a deep and complex sport. Even at the highest levels, there is always something new to learn. The more you learn, the more you realize how much you still have to learn. An appetite to continually learn is essential to developing into a college-worthy volleyball player. Learn as much as you can from coaches at each practice. Participate in camps, clinics and classes outside of club and school. The day you think you know it all is the day that your game will start to stagnate or even back-slide and other players your age who keep learning, grinding and striving will eventually pass you by. Jessica has displayed this same teachable attitude and hunger to learn. I still remember how she taught herself a jump float serve on her own in order to give her another advantage on the court. I recall how she got herself up early in the morning twice a week during the summer to walk over to the high school and participate in optional open gym sessions, sometimes on days when she had sand volleyball practice in 90-degree heat later that day. Jessica knew that no player is ever a finished product. She was ready to learn and grind away. College coaches want to sign student-athletes who excel academically. Any college coach will tell you that academics is a critical quality they search for when recruiting. One of the last things a collegiate coach wants to worry about is whether their players will remain academically eligible to play from week to week. Jessica has made her schoolwork a high priority throughout her school years. Her honor roll achievements and awards in the classroom grabbed the attention of Harper College’s coach during the recruiting process and similarly caught the eye of Judson’s coach. This week Jessica not only received a partial volleyball scholarship from Judson but also earned a few lucrative academic scholarships that together enabled her to accept an offer to attend an expensive private school that she couldn’t otherwise afford. During Jessica’s senior year, her Serve City 18 Blue team was playing in a tournament at Sky High Volleyball Club. Their first match was against an 18U national team that featured five players who had accepted scholarship offers to Division I college programs, including two 6-foot-3 middle hitters and a pair of 6-3 outside hitters. Our 18 Blue squad fought valiantly but lost 25-13, 25-11 to one of the top club teams in the Chicago area. Always the competitor who hates losing, Jessica was frustrated afterwards despite playing a great match at libero, digging numerous attacks from Club Momentum’s array of tall and powerful hitters. Her performance caught the eye of a coach for one of the other teams in the tournament. This was no ordinary coach, either. He also was head coach of Harper College’s volleyball program. Between matches, Coach Vilsoet asked about Jessica’s college plans and expressed interest in recruiting her to Harper. Several weeks later, he offered Jessica a spot on the team, and she accepted, playing this past fall as a freshman DS/libero. Similar experiences obviously don’t take place at every 18U club tournament. But Jessica’s story reminds us of the value in always bringing our best attitude, focus and effort to the court for each match. You never know who might be watching. Most four-year college programs have limited recruiting budgets. Unless they are an elite Division I program like Stanford or Illinois, they don't have the resources to unearth hidden gems and diamonds in the rough on the recruiting trail. If success in real estate is about location, location, location, success for athletes in the recruiting game is largely grounded in promotion, promotion, promotion. Video your matches and upload them to YouTube or other websites to provide easy access for college coaches. Contact coaches at the colleges you're interested in. Take initiative if you'd like to grab a prospective college's attention. Be persistent. Regularly email and contact coaches where you'd like to play. Make sure to always put a link to your YouTube performance videos in the emails you send to coaches. 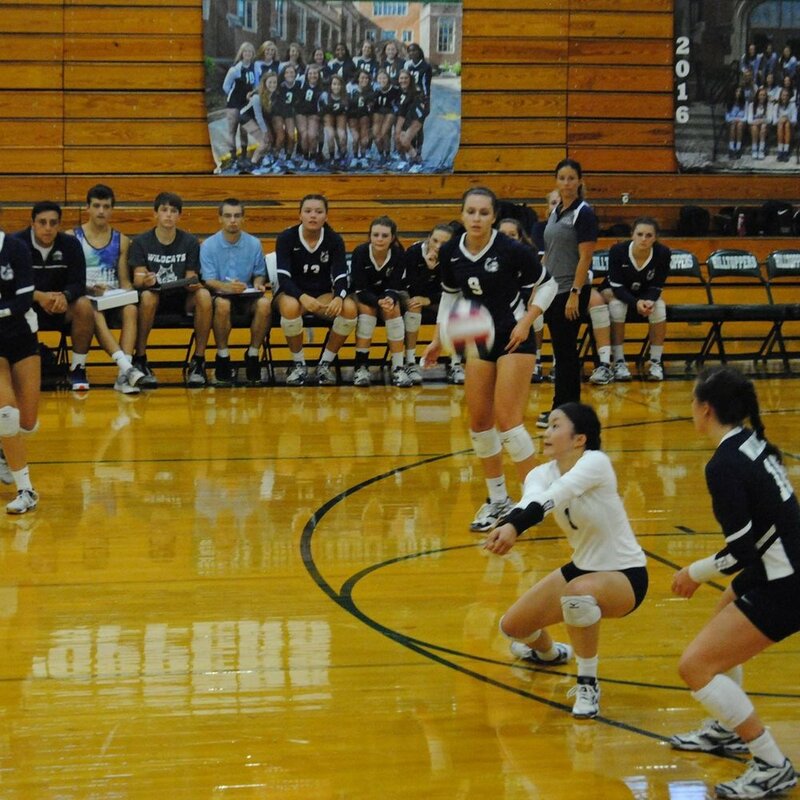 We sent videos of Jessica playing for Harper College, Serve City and West Chicago High School to Judson’s coach. The footage demonstrated Jessica’s skills, athletic ability and savvy as a libero in serve receive, on defense and with her serving, and it helped prompt Judson’s coach to recruit her. One decision that ended up giving Jessica a competitive edge over other back-row players was her involvement in sand volleyball. From eighth grade through the summer before her senior year, she and her sister, Nicki, played in summer sand programs and competed in sand tournaments. Jessica’s participation benefited her game in several ways. It improved her volleyball IQ, sharpened her quickness to the ball and overall athleticism, expanded her all-around game and strengthened her serve receive, defensive and setting skills, all of which are important as a libero. A nice side benefit of sand volleyball was that it didn’t require a huge time commitment. Jessica and Nicki typically practiced twice a week for three total hours a week over eight weeks and competed in 3-4 Saturday tournaments during the summer months when their schedules were usually more open. In middle school Jessica took part in basketball and track and field at her school in addition to volleyball. Basketball further developed her quickness, leg strength, footwork, spatial awareness, hand-eye coordination, quick on-the-spot thinking and a host of other athletic skills. Track improved her speed, explosiveness, conditioning, discipline and competitive instincts. Both sports grew Jessica’s focus, flexibility, work habits, determination, motivation and competitiveness under stress. Jessica became a better volleyball player through these other sports even if she didn’t know it at the time.